Prepare the dressing by thoroughly mixing together all dressing ingredients in a bowl. Refrigerate until ready to dress the salad. The dressing can be prepared 2 days ahead. Prepare/cook chicken. When the chicken is cooked and chilled, dice into bite-sized pieces and transfer to a large bowl. 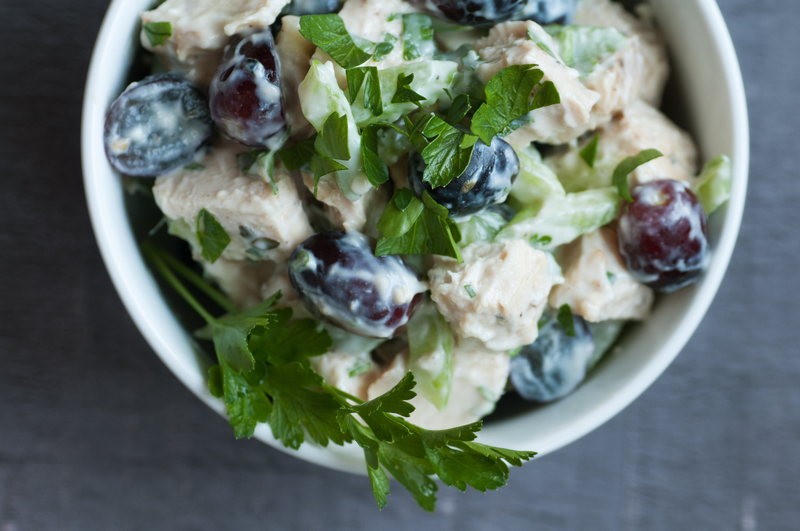 Stir in pecans, grapes, celery, and dressing..